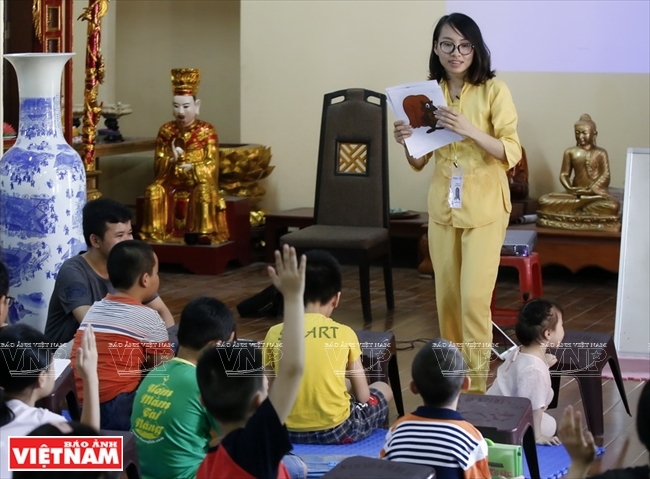 A free English class called “Happy Class” is taught at Phap Van pagoda in Hanoi by Tran Thi Huong Duyen, a Vietnamese English teacher, in order to follow the Buddha’s path by doing good deeds. 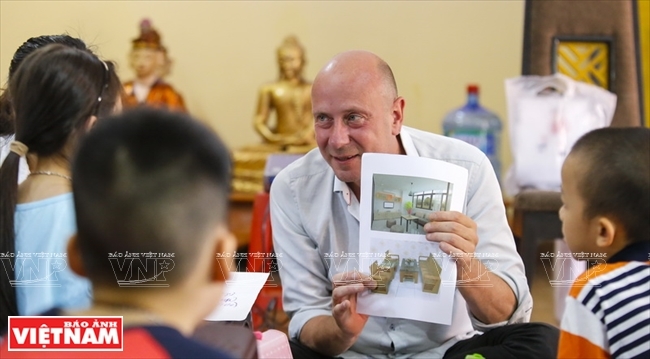 Phap Van pagoda has become a favorite rendezvous for Buddhists of all ages, from 5-year-old children to parents who also attend the free English class and play. Duyen has organized five English courses with 150 students ranging from 5-15 years old. Many parents who take their children to Duyen’s classes also get involved in the games provided by the volunteers. The free English class is also taught by 20 volunteers, who currently are students in different universities, and there are some foreign volunteers. 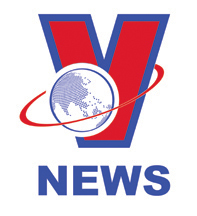 The friendly foreign volunteers are believed to be the “magnet” that attracts the children. 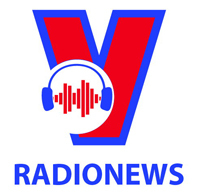 Victor, a teacher from the United Kingdom, said he found out about “Happy Class” by chance when he came to work in Vietnam. Victor said he found happiness in life whenever he went to teach the students at “Happy Class”. According to Duyen, the children love to be taught by Victor because they feel the love that he shares. “I am very happy to study here. I feel more confident in talking with Victor, and my classmates are helpful and friendly”, Do Thi Phuong Anh, a student of “Happy Class” said. "This is not only an English class, but also a pure environment for the children to develop a healthy mind. 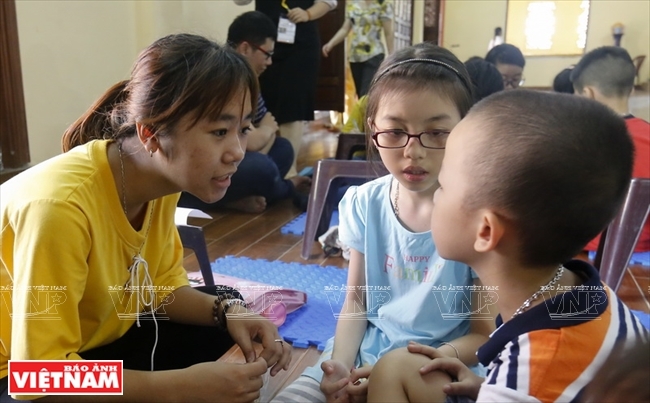 We bring our children to the class and also enjoy learning together", Thu Minh, the mother of a student said. 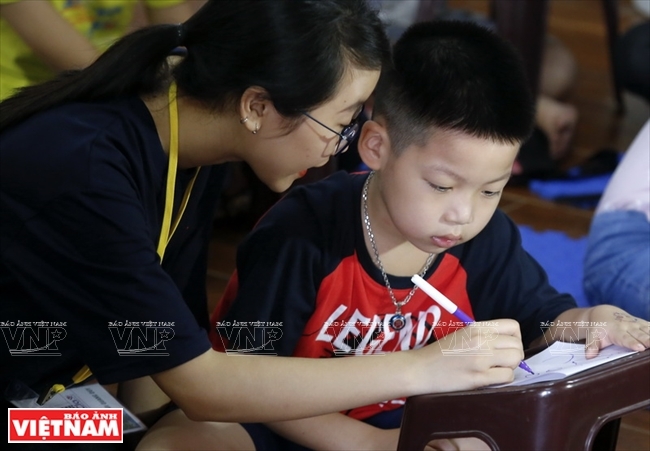 Duyen said that “Happy Class” always welcomes students as well as foreign volunteers who love Vietnam and want to have a teaching experience at the free class.